Ravenous Ride the Radio Waves - ARGH! NEW MUSIC! Listen to Canada's finest metal fellas Ravenous E.H on the radio at Rock Bottom - Cjsw 90.9FM , debuting a selection of their new songs from 'Eat the Fallen', which were produced most splendidly by Alan Sacha Laskow at Perfect Filth Productions, and feature virtual orchestrations by yours truly at orchestralmetal.com. Feel free to get in touch if you want me to bring your orchestral metal imaginings to life! ​Click on the band photo below to hear the radio show. Whilst you're here, you are welcome to peruse my virtual orchestration portfolio - thanks for stopping by! This claustrophobic cacophony that I composed for the Danish thrashcore band HateSphere was inspired by the post-apocalyptic opening scene of Terminator 2, so it made sense to combine them! The album 'Reduced To Flesh' was released in 2018 by Scarlet Records, with jaw-breaking production by ﻿Tue Madsen﻿ @ Antfarm Studio, Denmark. I've used the pre-production audio to make this video, but you can listen to the final production here. To hear more of my virtual orchestrations, check out my portfolio. On Thursday and Friday last week, I gave a presentation on Virtual Orchestration at ETIC_ (Escola De Techologias Inovação e Criação), Lisbon, Portugal - It was a fantastic experience to have the opportunity to share my perspective on virtual orchestration with a room full of students in a fantastic independent and creative education environment. Big thanks go to the staff at ETIC_, including André Prista, João F Gomes, Nuno Rua, Pedro Casiero, and Fernando Ribeiro of Moonspell for making it happen - I will return whenever possible, as there is so much more to share, and so much more to learn! Extra thumbs up go to João, who introduced me to the spice armageddon that is Cape Verdean cachupa cuisine! It was delicious though, especially when accompanied by Portugal's finest beer: Sagres...! On Saturday, having recovered from the exotic food and drink excesses of the night before, I followed up my presentation at ETIC_ with a more improvised and responsive virtual orchestration workshop at Rock 'n' Raw estúdios in Lisbon, which allowed for the participants to discuss and troubleshoot their own works-in-progress with me. We even made time to take the workshop to the local cafe (of course!) for a breather, coffee, and croissants! My apologies go to Hertz, who, joining the workshop over Skype wasn't able to appreciate the quality of the pastries and beverages during the intermission. Much appreciation goes to Mariangela Demurtas and Bruno Jorge for supporting and setting up the workshop - it was a blast! Out of gratitude to all those who attended the workshops, and to further support them with the development of their own virtual orchestration projects, I have I included the notes that I prepared for the ETIC_ workshop below, with links to useful charts and diagrams as well. For examples of my own virtual orchestrations, feel free to explore my portfolio page here. Creating the right momentum and developing the melodic structure of the song through the intelligent use of the orchestral arrangement. Where do these instruments sound their best? • Is it best to pan the instruments like a traditional orchestra, or more in keeping with a modern mix? Is there any room for the ‘players’ to breathe or rest in this music? Is it always effective to just double the instrumental parts played by the guitars, and bass? How can I make the most of the orchestral resources that are available? Refining the process of choosing from the whole variety of colours within the orchestral "palette" in order to distinguish what really stands out, and what can make the difference in the final mix of a song. How do the different orchestral families fit into a metal context? Should I use all of an instrumental group for this part of the song, or just a subset / divisi? • Multiple individual ‘players’ for realism, or ensemble patches for consistency? Is there room for woodwind in metal orchestration? Should I also consider synthesized sounds and instruments as part of my orchestration? Is there much room for orchestral percussion in metal tracks? How to bring the quality and strengths of the band’s music to the top, or work to compensate for its deficiencies so that in the final mix a point of common satisfaction can be achieved. This is a case of balancing the original music of the client with the creative ideas of the orchestrator. Why am I orchestrating this part of the song - what does it achieve? • Can you find a reason for that orchestral part? • Frequently remind yourself of the initial brief that you were given - are you on the right track? Are the sounds I’m using the right fit for the song? • Does the vibrato, tremolo, or trill speed of this instrument fit the tempo of the song? • Does the dynamic shape of the sample fit the phrasing of the music? • Do these round robin samples work with the rhythms I’m using? Should I always work focused on the details, or should I also think about the bigger picture? How important is clear communication and understanding between the client and I? Developing the rapid construction of an efficient method to create one’s own compositions and arrangements, as well as using a midi controller to interface virtual instruments. Who am I orchestrating for? • Are their previous orchestrations dramatic? Neoclassical? Filmic? Avantgarde? • Are they light and fun, or dark and serious? • Does the band already have keyboards? • Are their audience mostly musicians, or music fans? Should I setup my orchestration template ahead of time? How can I streamline the process? 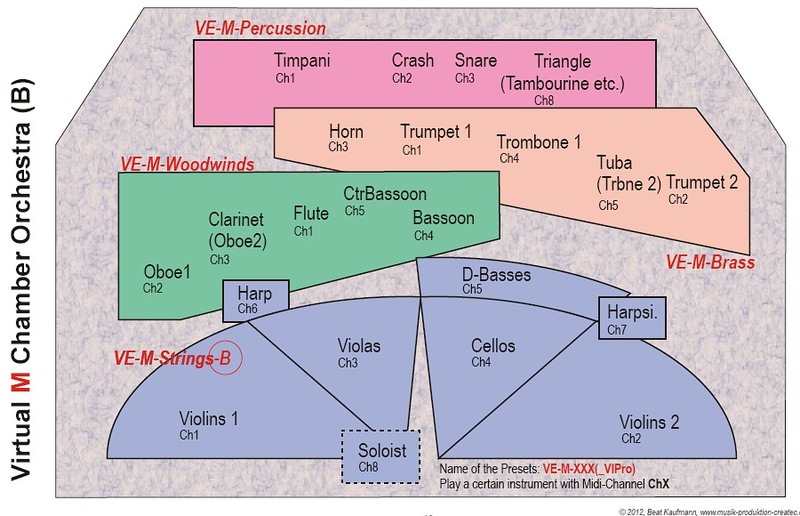 What equipment do I need to do virtual orchestration? How can I use instruments I play to input midi into my DAW, capturing a more human performance? Techniques and tips that allow you to gain independence in the composition and recording of songs, embellishing the music with ‘larger than life’ orchestral arrangements, whilst saving on the budget, logistics, and time spent in the studio. How can this orchestral part be phrased to make it fit the feel of the song? How can I avoid monotony with repeating musical parts? • How do the phrases relate to each other - call and response/ question/ statement/ answer? How can I get my slower, softer sounding instruments to play in time with the harder, faster sounds of the band? • Compensate for slow-attack times with pre-delay on the instrument until it sounds tight to the click - allowing you to continue working within the divisions of the piano roll editor / notation more easily. • In addition to this, you will have to lengthen the notes on the end of phrases to counter the effect of adjusting the pre-delay, so that the end of the note sounds in time. • Humanization is important for adding back some imperfection into quantized, programmed music. • Familiarize yourself with the level that the producer is likely to place your orchestration into the mix - this affects the apparent timing of your instruments, so don't work with the orchestration too loud. What transferable skills can I learn from doing this kind of work? Organizing and preparing the work to finally deliver it to the musician and the producer. Will my orchestral dynamics be effected by post-processing in the final mix? • To better appreciate orchestral dynamics, study recordings and notation of orchestral music, or experiment on those instruments yourself if you have access to them. To reverberate, or not to reverberate? Should I develop certain character traits to do this work successfully? What should I do to facilitate progress with my career as a virtual orchestrator? Soon I will be providing information and resources to give you a head start towards creating virtual orchestrations in Logic Pro X, integrating the guitar as a midi controller to get more out of the virtual orchestral instruments that Logic Pro X comes with, along with some hacks and tweaks that make it easier to be spontaneous and creative with them. If you have found this blog post inspirational, useful, or informative, feel free to donate funds to my PayPal account as a token of your appreciation. Alternatively, feel free to get in touch if you have any questions regarding this topic - I will gladly answer your inquiries, and troubleshoot any problems or frustrations you are having with your own projects. ​It's always satisfying to see one's contributions to an album in writing in the CD Booklet - Obrigado,​ Moonspell!